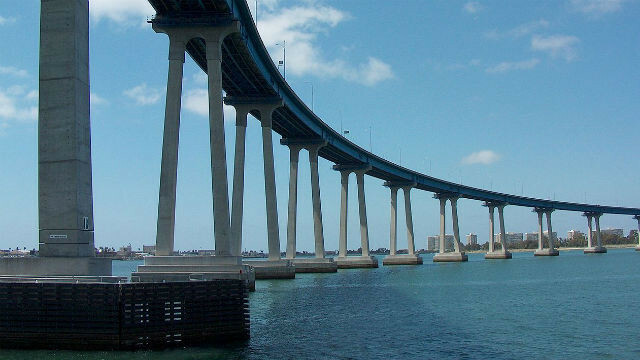 San Diego Harbor Police are searching for a man who possibly jumped from the Coronado Bridge on Tuesday night. The individual was reported to have gotten out of his still-running car mid-span just after 7 p.m., according to the California Highway Patrol. According to a witness, the man climbed onto the bridge railing. It was unclear if the jumper, or his body, were immediately located.